The population of Luton stands at over 200,000 and is served by funeral directors that offer a diverse range of services, from traditional burials and cremation to, burial at sea, green funerals and legal guidance. Funeral services in Luton are across the town from Hemel Hempstead to St. Albans. Funeral directors in Luton offer services to cater to the various faiths in the region. Christianity is the dominant faith, with over 47 per cent of the population identifying as Christian. Islam is the second largest religion in Luton, with other practised faiths including Buddhism, Hinduism, Judaism and Sikhism. There are 18 mosques within the town, including Luton Central Mosque on Westbourne Road and Masjid Al Ghurabaa on Bury Park Road. The Luton United Synagogue on Dunstable Road serves the Jewish community. With over 16 per cent of residents identifying as having no religious affiliation, funeral directors in Luton may also be able to provide secular or Humanist funeral services. Luton has two council cemeteries, the Vale and General Cemetery, while the Luton Crematorium, the only public facility, handles cremations. 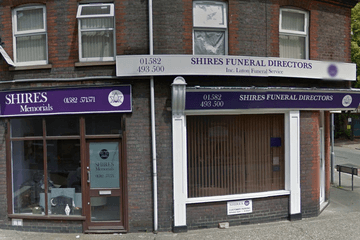 Search now to find local funeral directors in Luton. You can then order results by best rated, most reviewed or nearest to you to see what is available in your local area. Click on a funeral director’s profile to learn more about the services they provide, read independent customer reviews, and find out how to contact them to discuss funeral arrangements for your loved one.